International leaders of the ceramic tile manufacturing industry will be debating the need for strategic conditions and industrial policies that make industrial investment feasible. The panel will also analyse the main technological and business innovations in the ceramic tile sector. Issues discussed at Qualicer 2014 and 2016 will be followed up, as well as any new topics identified during the organization of Qualicer 2018. Grespania is an international ceramic manufacturing company, producing collections which boast both innovative technical properties as well as innovative cutting edge designs. A combination of ongoing investment in further improving the manufacturing process, continual adaption to latest advances in design, and a permanent concern for the ‘good of the environment’ have all helped ‘stamp’ the Grespania brand as a global market leader for the past 40 years. In addition to its production facilities in Spain, the company also has 5 subsidiaries companies serving as distribution hubs in strategic European countries: France, Italy, the Netherlands, Poland and the UK. Interceramic is one of the largest manufacturers in North and Central America, Interceramic is proud to have established 10 manufacturing facilities with production capacity in excess of 450 million square feet annually, with over 4,500 employees world-wide. Additionally, Interceramic is committed to service the North and Central American customer and has established an extensive distribution system in the United States that includes 13 company owned showrooms, 3 distribution centers and 53 independent distributors throughout the US and Canada, as well as over 300 retail locations throughout Mexico, Asia and Central America. At Somany Ceramics, we are India’s 3rd largest manufacturer and marketer of tiles and also offer wide range of Sanitary ware and Bath Fittings. We export our products to more than 55 countries across 6 continents. The company has manufacturing plants in Kadi (Gujarat) and Kassar (Haryana), India and other joint venture plants, generating a production capacity of 41 million sq. Meters annually. Casalgrande Padana adopts an industrial policy that is powerfully focussed on technological innovation and environmental sustainability. The Company is intensively engaged in research and experimentation for continuous product improvement in terms of appearance and performance. All its manufacturing, research and innovation take place in 100% Italian-based plants and laboratories. 6 factories , 1000 employees, 24,000,000 square metres of stoneware tiles a year, all made in Italy 70 countries in 5 continents, served by its widespread sales network. The architect has a clear role in the prescription of material during the design and draft of the project, as well as in the correct installation during the work management. However the profession is present in more scopes such as universities and education centres, professional associations and schools, organisations that promote the correct qualification of installers and best practice in construction or in the tile manufacturers themselves, both on a technical and management level. This session will analyse the current coordination of architect activity from said scopes and will attempt to identify areas for improvement. It will also analyse how the result of the work is applied, enriched or distorted by the various agents that participate as well in the design phase, by the general contractor and by the various agents that work on site with the installer. Together with the architecture professionals, installers will also participate with the objective of analysing the true impact of the efforts mentioned above. There will be an overview of the market in the United States and in Spain through individual presentations. Later on these overviews will be discussed at a debate table so that dialogue between the various roles becomes enriched with the experience of professionals from different markets. 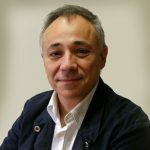 Alejandro Rubert Laguía is an Architect, founding partner of the professional firm Guillamón Rubert y Asociados S.L.P, based in Castellón and Valencia, founded in 1994. His practice focuses mainly in the area of ​​urban planning and public and private construction. 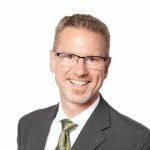 Scott Conwell is architect and director of the International Masonry Institute (USA) The International Masonry Institute (IMI) is a strategic alliance between the International Union of Bricklayers and Allied Craftworkers and the contractors who employ those members. Through education, technical support, research and training the IMI works to provide a more efficient construction delivery system. Ángel Pitarch is a Technical Architect, with a Bachelor’s Degree in Architecture and a Master’s Degree in Architectural Heritage Conservation . He worked as a Professor in the Architectural Construction Department of the Universitat Politècnica. 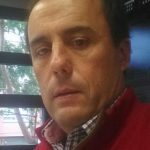 At present, he works in the Mechanical Engineering and Construction Department of the Universitat Jaume I. His research area focuses on building materials with special attention to ceramic cladding and architectural heritage. Currently, he is Deputy Director of the School of Technology and Experimental Sciences and responsible for the Degree in Technical Architecture. He is also the Director of the Ceramic Classroom. In addition, he is President of the Official College of Architects of Castellón. CEO of PAMESA since 2007. Counselor of VILLAREAL C.F and Counselor of VALENCIA BASKET CLUB. Some decades ago, only a few would have predicted that the combustion engine would be replaced by the electric engine. At present, it is an actual scenery where several trademarks have set a short-term date. Does the ceramic sector experience opportunities or technological progresses of this scale? In this session, two presentations will develop and discuss this issue. Eliseo Monfort. Full Professor of Chemical Engineering (UJI). Head of the Area for Sustainability (ITC-AICE) Spain. Gustavo Mallol. Director of AICE. Ceramic Industry Research Association. Spain. Paper: “The potential of digitalization in the ceramic industry, developing technologies and the need of process reengineering implied”. Eduardo Montes. Expert in business innovation he is an Industrial Engineer with extensive industry experience in responsible positions, such as General Manager of Alcatel Spain, President and CEO of GEC Alsthom Transporte Spain, Senior Vice President and CEO of the World Telecom Division of Siemens with a turnover of more than 16,000 M€ and 70,000 people worldwide. Executive President of Ferroatlántica and President of UNESA until October 2017.
Business associations are the main vehicle for cooperation. They are necessary to cope with substitute products, and also with financial and industrial policies as well as with society. Cooperation also involves overcoming technological challenges that make necessary the implementation of efficient and high capacity infrastructures regarding telecommunications and energy. 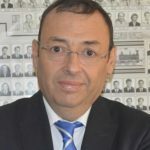 The panel discussion will be chaired by Eduardo Montes, Industrial Engineer with an extensive experience in responsible positions in the industry. His participation will contribute to place the ceramic sector in relation to other industrial areas. This reflection, will be of major interest to international participants of Qualicer and their geographic areas that may confront similar challenges. Miguel Ángel Michavila is President of ANFFECC and studied Technical Ceramics Engineering. He has more than 37 years of experience in the industry and has a wide professional knowledge of business. 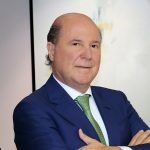 In 1979 he started operating in Torrecid and four years later assumed the creation and management of Al-farben company, also belonging to Torrecid Group, one of the most important Spanish multinationals of the sector. He has attended training programmes such as Business Management at Valencia Politécnico, IE Business School, Industrial Organization School, EDEM. 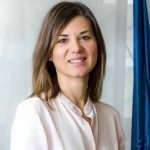 Maria Dolores Parra, is currently General Director of Internationalization of the Regional Ministry of Sustainable Economy, Productive Sectors, Trade and Labour and she is also Deputy Director of IVACE. Previously, she was the Economic councilor in Vila-real´s City Council. She holds a PhD in Economics by Universidad Jaume I (UJI) and she made a post-doctorate at the Universitat Rovira i Virgili (URV) in the Innovation Research. She is specialized in international trade, especially in MENA countries and she obtained the diploma of Master of International Commerce by the Universitat Jaume I. She graduated in Business Administration from the UJI and she studied in the École de Commerce de Pau (France) as well. She has completed research stages in the University of Goettingen (Germany) and has participated in research projects abroad. Besides her academic background, she also has experience in banking, in the ceramics sector and in the large retail sector. Juan Vicente Bono. President of the Spanish Association of Manufacturers of Machinery and Equipment Goods for the Ceramic Industry (ASEBEC). Juan Vicente Bono is an industrial engineer, he started working as an engineer in the industrial machinery sector focused mainly in the ceramic industry. 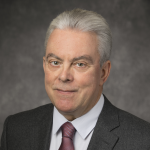 Moreover, he also has a business profile: founding partner of several companies connected to the industrial engineering industry and the machinery industry such as Network Process Control Systems and Integra Synergy Systems. Vicente Manuel Nomdedeu Lluesma. President of ASCER has a degree in Economics and a Master in Senior Management from ESADE. He has also an extensive training in business management, because he has conducted several courses on finance, management, human resources, marketing, mergers and acquisitions. Since 1987 he is Chief Executive and General Director of Azteca. 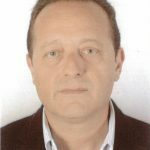 Vicente Nomdedeu is very committed to the tile industry, he joined the Board of Directors of ASCER in 1998. In 2006 he was appointed vice president of the Association, re-validating the position on three occasions. 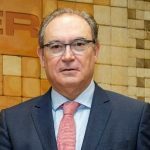 He is also part of various advisory councils and committees in institutions linked to the industry and the economy of the province, such as Feria Valencia, CEVISAMA, Chamber of Commerce and QUALICER among others. Federico Michavila, President of Torrecid Group is a Mining and Energy Engineer and he has also studied Management Programs in many prestigious international organizations. In 1978 he joined Torrecid, leading the transformation of a small company into a globalized multinational, worldwide leader in its sector. Throughout his career as an entrepreneur, he has received numerous awards, among which is worth noting the “Premio Príncipe Felipe a la Excelencia Empresarial” and the “Premio Emprendedor del Año 2013 de EY” at a national level. 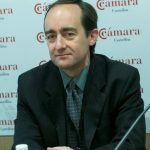 He is a member of the “Círculo de Empresarios”, of the Board of Directors of the “Asociación Valenciana de Empresarios” and of the Board of Directors of the “Instituto de Empresa Familiar”. He is also professor of the 15×15 course of the EDEM Business School. 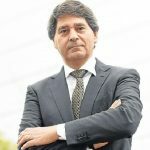 Since 1985, he is the CEO and President of the Torrecid Group. Julio Garcia Sainz is Vice President of Performance Coatings in Ferro Corporation. He has a bachelor degree for Chemical Engineering. 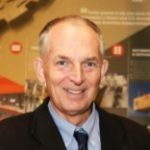 He joined Ferro in 1979 as a Lab Technician and has an experience of 39 years in Ferro, where he has developed all his career. 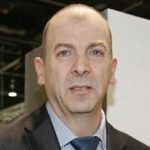 In 1982 he was appointed Sales Manager for Tile in Spain, then in 1998 Corporate Technical Director, since 2003 he was in charge of the Tile business in Europe and since 2015 he is Vice President for Performance Coatings, managing the businesses of Tile, Porcelain Enamel, Fine and Structural Ceramics. 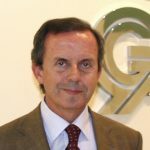 Jose Vicente Tomás, CEO of KERAjet. KERAjet is an International leading Spanish company in the manufacture of machinery for ceramic digital decoration. This high status in the field of ceramic digital printing is supported by its constant evolution and by a continuous investment in R&D as part of its business philosophy. KERAjet has always offered the industry the most advanced technological solutions, simplifying the productive processes, reducing time and costs of manufacturing and, ultimately, shows a commitment to progress that makes the sector more productive, competitive and versatile. Currently, it has more than 3,500 machines operating in more than 43 countries and subsidiaries in Italy, Portugal, Brazil, Mexico and China. Claudio Marani is the General Director of Sacmi, he studied Chemical Engineering at the University of Bologna. 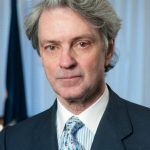 He began his career in Sacmi Imola, where he was in charge of important projects in North Africa and subsequently, he assumed the role of Area Manager of several countries including Turkey and the United States. Since 1997 he became Sales Area Manager in different Sacmi Group subsidiaries. 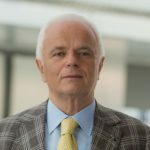 In 2000 he became Sales Director of Sacmi Imola, and two years later the General Manager of the Ceramics Division representing 60% of Sacmi’s global volumes. In 2013, he was elected in the Executive Council of ACIMAC (Italian Association of Ceramic Machinery and Equipment Manufacturers). 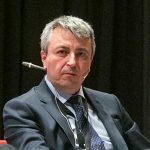 Since January 2017 he has been elected as General Manager of Sacmi Group as well as Chairman and Director of several other Group’s companies in Italy and abroad, such as Sacmi Forni SpA, Sacmi Impianti SpA, Riedhammer GmbH, Sama GmbH, Sacmi USA, Sacmi Istanbul, among others. In 2016, the Group achieved a turnover of over 1,400 million € with approximately 4,300 employees. 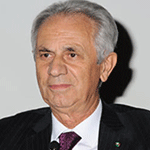 Franco Stefani is the Founder and President of the System Group set up in 1970 in Fiorano Modenese, Italy. 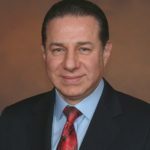 The business history of Franco Stefani features one-of-a-kind technological solutions that he has developed for industry, and in particular for ceramics. Rocket, Planar, Outliner, Falcon, Multigecko, 4Phases, Rotocolor and Creadigit are just some of the systems created thanks to the enlightened vision of Franco Stefani at the head of the Research and Development department of the company, at the heart of innovation. In 2000, he presented Lamina technology. A process that has brought brand new applications of ceramic. From the idea of a single tile came the development of an actual ceramic surface that can reach dimensions of 1600×4800 mm with thickness ranging from 3 to 30 mm. Franco Stefani was the first to create the largest ceramic surfaces with the Lamina technology worldwide. 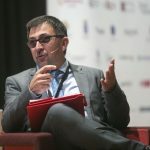 His forward-looking approach led Franco Stefani to be awarded with international recognitions and in 2017 he was awarded with the prize “Digital Transformation” for being considered as a world leader in the industrial digital field, through a new concept of factory, in which cutting-edge solutions are implemented with the human-machine interaction at its center; for having created an international corporate group, setting up important partnerships and synergies that make it possible to tackle the constant challenges of the market. The System Group is one of the most important player worldwide in the design and manufacture of unique innovative process and products for the ceramic industry and other industrial sectors such as electronics and intra-logistics. Antonio Blasco, CEO of Esmalglass-Itaca. In this session, experts will analyze the challenges and possibilities of electronic commerce in the ceramic tile sector and also they will provide the vision from other sectors as a reference. 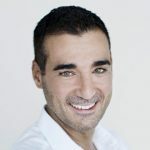 Miguel Vicente is a Serial Entrepreneur Co-Ceo of Antai Venture Builder, Co-Founder of Cornerjob, Wallapop, Deliberry, Shoppiday, Media Digital Ventures, BePretty, Glovo (formerly Justbell). Antai Venture Builder, the leading online and mobile venture builder in Southern Europe. Their venture is to create new business models, select the best talent and co-found the new venture with them, accompanying them through the whole process. Antai manages as well a M4E fund named Media Digital Ventures, with 40M€ marketing advertising inventory. Roberto Benages, CEO-Founder of Woman on Mars, CEO Co-Founder Tile and Mosaic online and CEO-Founder TMS – Tile Marketing Solutions. He has more than 12 years of experience in Marketing and Sales in the ceramic sector, he has conducted his professional career in different positions of several companies, until he performed for several years the position of Commercial Management and Marketing. Fernando Palomo, Executive Director of Azuliber. With a trajectory of almost 25 years in the ceramic sector, Azuliber combines tradition and experience with an innovative and avant-garde spirit to develop products very adapted to the needs of the market. Porcelain tile, red paste stoneware, white paste, large formats, rectified and semi-polished, irregular shapes, ceramic for interior and exterior; ceramics for the home and for commercial spaces.